Guests are encouraged to bring a lawn chair or blanket for seating. Picnic dinners are welcomed, but alcohol is strictly prohibited. Admission is free. In the case of inclement weather, April concerts will take place at the Odell Weeks Center at 1700 Whiskey Rd. in Gym 2. 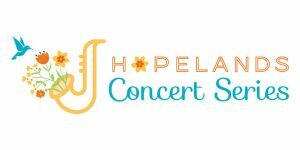 A new and exciting change this season, concerts forced indoors during the months of May and June will take place at the Aiken Senior & Youth Center, located at 841 Edgefield Ave. NW.